The Daily Guru, a site dedicated to providing guidance for the personal and professional you, has been a welcomed presence in my inbox and on my Insta feed for close to a year now. And every single day, it delivers nugget after nugget of wisdom from gurus across a variety of industries. Personal growth and wellbeing are at the forefront and the team produce and curate industry leading content like there's no tomorrow. They've created an incredible community, not only for their readers, but for those they bring centerstage. 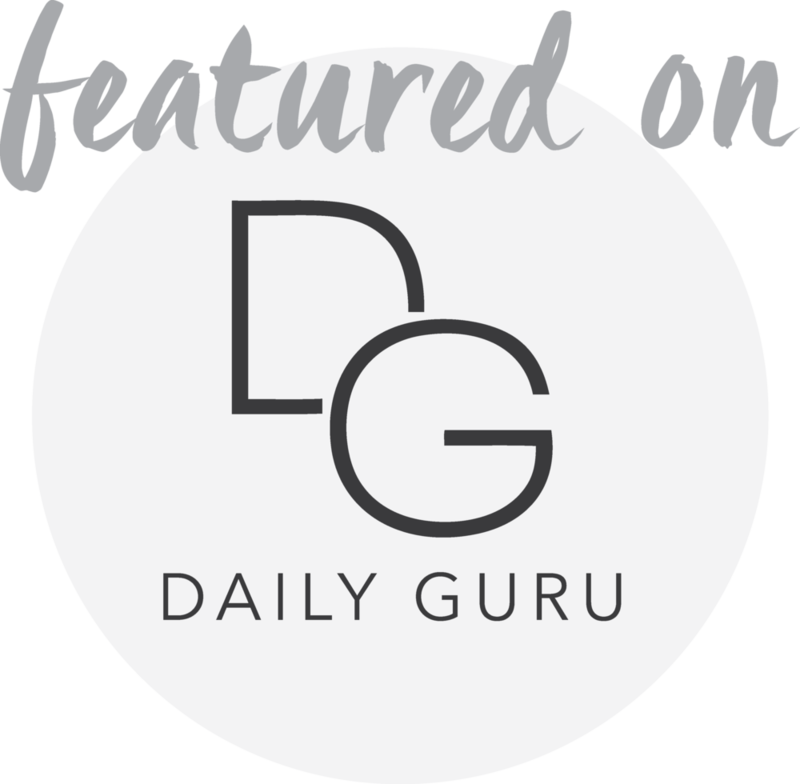 I'm in awe of the momentum The Daily Guru [TDG] has acquired ... but how did TDG get started, how does founder Bec Caines stay motivated and on track and what’s the DL on her go-to tools and apps? Bec is the brains, beauty and believer behind The Daily Guru and I was lucky enough to have her Show Us Your [her] Social! The Daily Guru began as a bit of a personal passion project. I have always been hugely interested in all things personal development and, having explored a number of different areas of development for a few years, I realised that my journey had been quite bumpy—sometimes finding courses and practitioners who truly changed my life, and others times, working with people who did not resonate with me at all. Therefore, I decided I wanted to create a space that allowed anybody interested in wellbeing and personal growth to seek out the right information, coach, practitioner/therapist to suit them, as well as being able to explore areas of development they may not have been privy to before. I had no idea if anybody would show up wanting to explore this amazing world using The Daily Guru–but they did! The growth has been quite overwhelming and so encouraging. It has shown me that people really were seeking a safe environment to explore this fascinating world of personal growth. The best advice I have been given is ensuring you are truly authentic with your messaging: do not get distracted by what others are doing as that will just send you down someone’s else’s path. When you are able to focus and follow your true passion and vision for your biz, that’s where the real magic happens! And your community will know they have found something that speaks with truth, spirit and authenticity. When things become tough and challenging with business (which is inevitable) I remind myself that I have chosen this path. When I reflect that no matter how tough things can seem, this has been a choice I have made, because I believe in creating something bigger than the obstacle in front of me. This always seems to allow me to take a deep breath and put things into perspective. And if that fails, a small bar of dark chocolate always helps too! Total planner! We have so many people contributing to The Daily Guru, it would be impossible to manage that amount of content on an ad-hoc basis. We schedule all our post two weeks in advance. I find this helps us to be more productive on a daily basis, knowing all the daily communication with the DG tribe is taken care of. There wasn’t one single occasion that I would attribute our online growth to , but I would say the overall support from the wellbeing industry has been exceptional. I have been quite overwhelmed by this as it was a really important goal of mine, to ensure the industry saw The Daily Guru as a platform to help them all shine. So, to receive so much positive feedback and support in return, has been amazing. There wasn’t really -a ‘tipping point’ where followers started to come through more rapidly and frequently — we seem to have had fairly steady and consistent growth since we launched. We believe this has been as a result of adding variety to our posts, campaign and incentives for the DG tribe. If you don’t already have a peer group who you can reach out to during challenging or confusing times, then make sure you go out and find some fabulous people who can become your go-to-girls or guys. My friends and partner have been the biggest support during this journey for me. It really is so wonderful to be able to troubleshoot ideas for each other’s businesses and share any tips and tricks we all pick up along the way. website/tool - Jing; a screen recording tool for when I brief in to a contractor! Bec has launched The Daily Guru's Self Love Series, which is making it's way around the country. Holding workshops devoted to sharing the secrets and tools for knowing your self worth, honouring who you truly are and striving forward in a life that is intentional and fulfilling. If you're in any of the major cities, make sure you check it out and go along to not only meet this inspiring woman, but so many others excelling in their fields. Do you have a burning question you'd like to ask about the behind-the-scenes of social media accounts you love to follow? Comment below & I'll include it in an upcoming Show Us Your Social interview! Bec Jerdan is the social media marketer behind the blog - The Art of Social. Currently based in Byron Bay focusing on brand strategy & social media coaching to assist entrepreneurs & business owners build their online community. Inspired by creative people & their brands.